Posted on November 9, 2017 at 11:17 am. William was born in Batley Car, Dewsbury in 1881, his mother Elizabeth was a blanket weaver and his father died before he was 9. In 1891 he was living with his widowed mother and one sister at 23 Central St. Dewsbury and attending the local school. 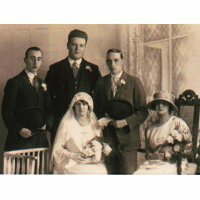 Sometime before 1903 Williams Mother married Joseph Conyers and moved to Sackville St. Ravensthorpe. William left the family home when he was 18 and appears to have been living in lodgings whilst working as a coal miner. In his army record he also states that he spent a period in the Territorial Army (3rd Battallion (Bn) King s Own Yorkshire light Infantry (KOYLI) as well as spending some time at sea with the Royal Navy as a “domestic”. 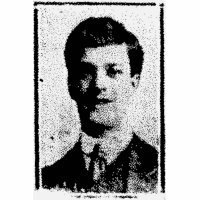 Presumably finding a life at sea disagreeable William returned to Yorkshire aged 21 and signed up at Pontefract on the 14th of February 1903 for 3 years in the army and 9 years in the reserve. During his period in the army William served with various battalions of the KOYLI. Initially moving to Aldershot and serving with the 1st Bn until 16th February 1905, he then moved back to Yorkshire and served in Sheffield and then Strensall Barracks at York with the 2nd Bn. It was at Strensall that he completed his service and was transferred to the reserve aged 24 in 1906. During his time with the army William obtained his 3rd class certificate in education and completed courses on Swimming, Transport and Mounted infantry- so presumably he learnt to ride. After leaving the army it is though that he probably returned to the Dewsbury area and a job in the mines. We have good description of William (as well as a photograph) He was 5 feet 4 and ½ inches tall and weighed 110lbs with a fair complexion, light grey eyes and brown hair. In addition he had a butterfly tattoos on the back of his right hand and 2 hearts on the back of his left hand. 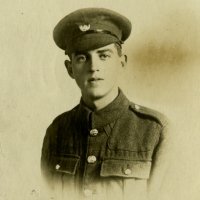 On the outbreak of war in August 1914 the army reserve was quickly mobilised and William was in France by the 11th of November where he probably arrived with a draft of reinforcements to the 2nd Bn who had suffered heavy losses at Hooge wood near Ypres. By this time William would have been 33 and his exact role is unknown, however given his training he may have been involved with horses and the provision of supplies. Williams period at the front was relatively short as he is recorded as being back in England by the 4th of May 1915. This may have been as a result of a major restructuring of the British army which took place in early 2015 or as a result of the action at Hill 60 near Ypres. This commenced on the 18th of April and after intense fighting and heavy casualties the battalion was temporarily withdrawn on the 4th of May. On arrival back in England William transferred to the 3rd Reserve Battalion in Hull where he spent the remainder of his service until the 10th Of February 1916 when he was discharged age 34. It is likely that he then returned to the mines and married, but I have been unable to find any conclusive information on this.